A scenario is a “story” illustrating visions of possible future or aspects of possible future. It is perhaps the most emblematic Foresight or future studies method. Scenarios are not predictions about the future but rather similar to simulations of some possible futures. They are used both as an exploratory method or a tool for decision-making, mainly to highlight the discontinuities from the present and to reveal the choices available and their potential consequences. How to build a scenario? Step 2: Identify the key drivers that will influence the listed key forces at macro and micro-level. 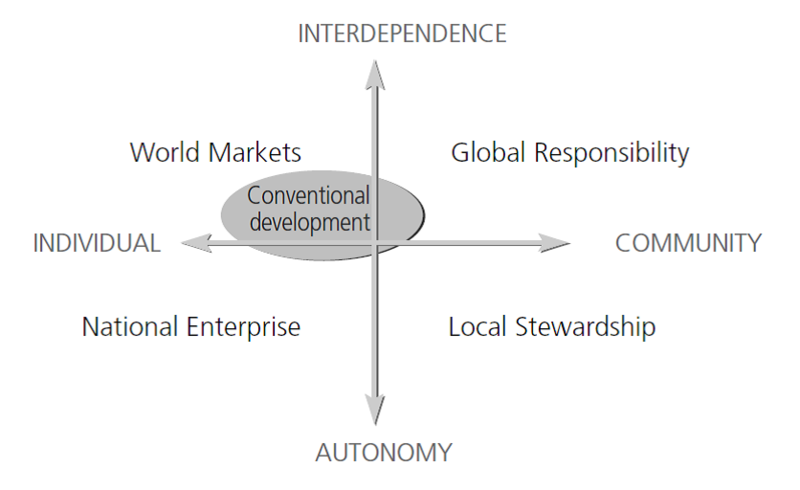 The list of the driving factors should include Social, Technological, Economic (macro), Environmental, Political and Values (STEEPV).The aim is to start building a conceptual model of the relevant environment that includes critical trends and forces and maps out the cause-and-effect relationship among the forces. Step 3: Rank the driving forces on the basis of two criteria: the degree of ‘importance’ of the focal issue identified in Step 1, and the degree of ‘uncertainty’ surrounding those factors and trends. Step 4: Selecting scenario logics. The results of the ranking exercise of previous step help identifying the axes along which the scenarios can be constructed. Step 5: Develop a number of internally consistent story lines which project as much as possible of what has been learned through the process up to now. Scenarios should be plausible, different, consistent, challenging and relevant for decision making.